Our first Seaports brought us to Denmark. Having never been to Denmark, we really didn't know what to expect. We were surprised to be greeted so warmly. The people of Denmark are quite unique to say the least. And I mean that in a good way. 1st Danish Port: Aalborg. We drove around in a rental car (and a rented driver) to see the historic Viking sites. The significance of ancient burial grounds (oval graves (men) vs round graves (women)) at a place called Lindholm Høje; the real live Long House (we need one of these for our brood) displayed in Hobro; another one of these “functioning” Long Houses and the ruins of an ancient market in Fyrkat; and a walking tour of the Old Town of Aalborg. 2nd Danish Port: Copenhagen. 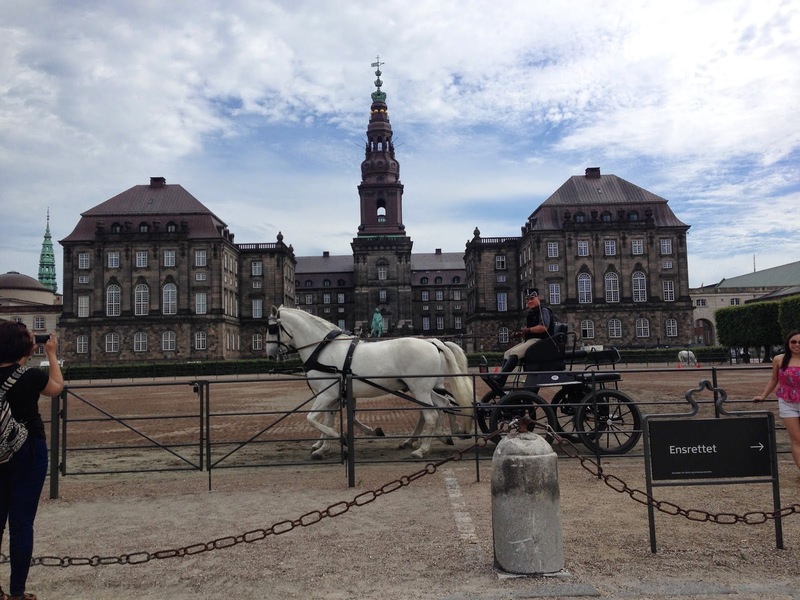 Copenhagen was a Viking fishing village before it became the Capitol of Denmark during the 15th Century. 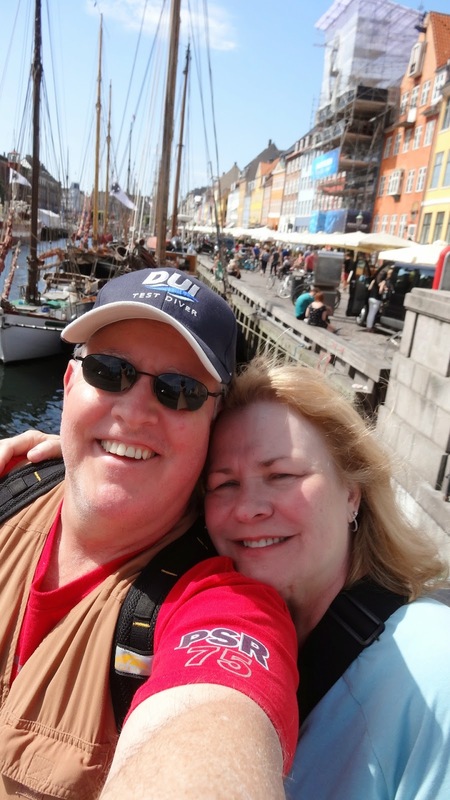 We really liked Copenhagen! I guess it helped that it was an extremely FABULOUS weather day. Our first project was to disembark the ship and find the “Little Mermaid” which is the signature of the City of Copenhagen. 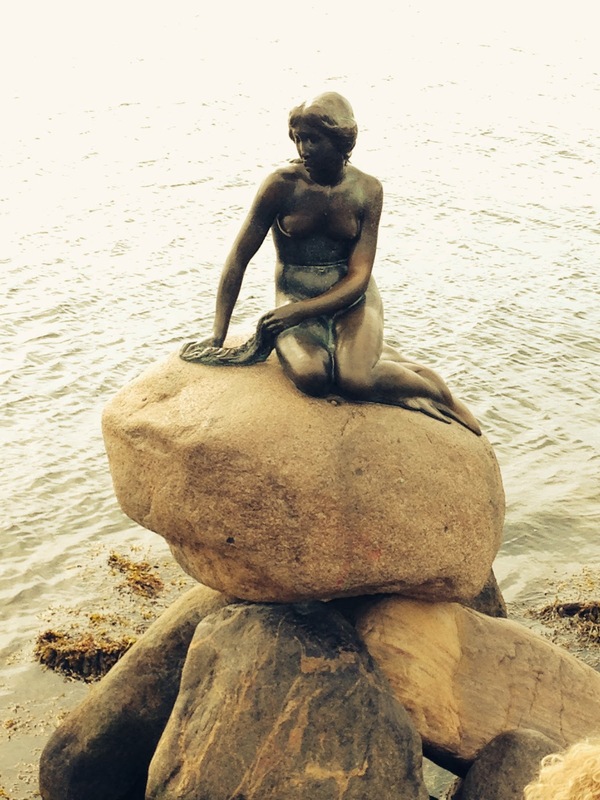 Perhaps because of Hans Christian Andersen, The Little Mermaid was what put Copenhagen on the map (and I am not talking about the Disney Movie). We found the very small statue which was overtaken by tourists, buses and cameras. Seems that everyone (except us) wanted a photo with her. We hiked further into town, stopping by a REAL WORKING royal palace, Amalienborg, complete with a changing of the guard. We even saw someone (maybe royalty, but they looked like everyone else) leaving the palace. We had heard that members of the Royal Family often bike around town like a plebeian. (More on that term later.) Did you know that every Danish Royal is named Christian or Frederik? Interesting. We saw the Royal Gardens, St. Albans Anglican Church, and had an across-the-harbor view of the Copenhagen Opera House. It was here that the real fun began! We hired a bicycle taxi near the Royal Gardens for 2 hours to take us for a tour of the City. The hubs thought we’d see much more than we possible could see by walking… so he negotiated the rate and we were off! I must say it was a fast two hours! We saw City Centre, The University, and spent some time cruising Strøget (the pedestrian shopping district). It was there I asked our Romanian driver (who spoke excellent English) to stop by the Pandora Store so I could purchase my very own Little Mermaid charm as a memento of this beautiful day. (See the photo.) We saw The Round Tower (and no, we did not climb it). We rode past Copenhagen’s Stock Exchange Børsen and of course, past Tivoli Gardens, Denmark’s Disneyland! 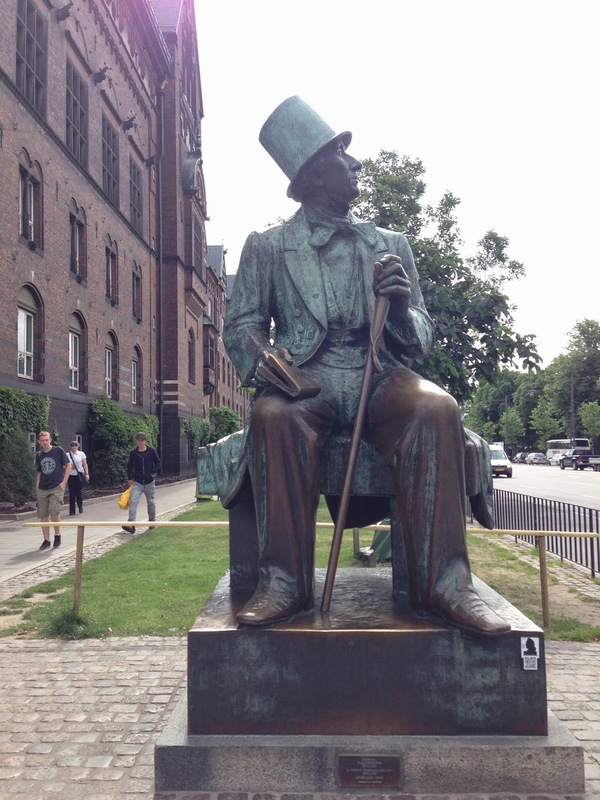 Across the street from the entrance was a larger-than-life statue of Hans Christian Andersen, facing the Gardens. Now after crossing the bridge and into Christiania, I sort of lost track of things… where we were or where we were going. Maybe I was consumed with all the stories I’d heard about it; maybe it was the fact that I could not take photos as we rode through the streets… that kinda killed my mojo. Circling back several times, I was beginning to recognize some of the places, which is not really like me. But our last destination was a place we'd not yet seen... it was a street called Nyhaven. It is a charming 17th century waterfront, canal and entertainment center. A lot of houseboats lined the canal and there was a feel of Amsterdam! Yes, our journey was just beginning. And I had so much to write about in my journal each night as we sailed away!